Hi! I’m Kristen Mascareñas Wendling, a speech language pathologist by day, blogger by night (and weekend and early morning). My life’s main mission: help people…and make ‘em smile while doing it. 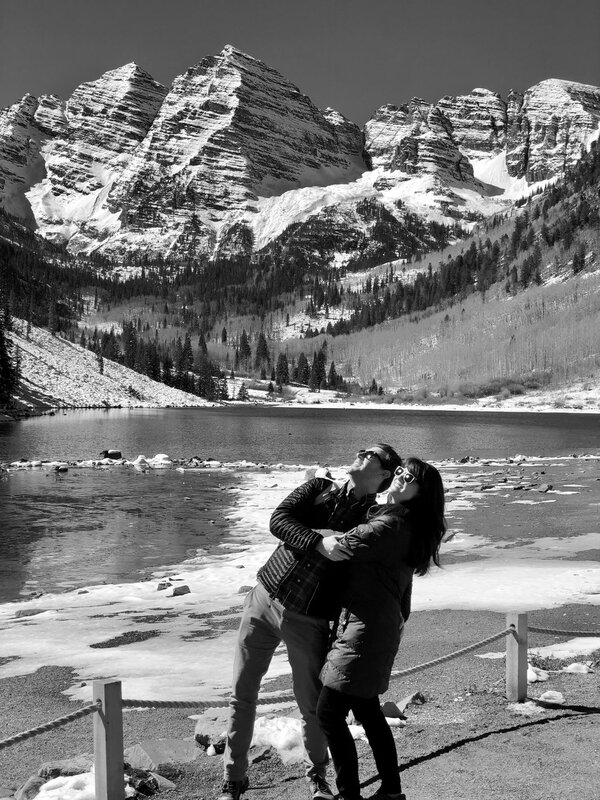 My husband, Cory, and I live in Denver, Colorado. We are goofy: laughing until our stomachs hurt as we sing our family's theme song we wrote together. We are existential: dissecting life and our emotions and our experiences for hours at our small dinner table. We are sentimental: saving every theatre ticket and hand-written note left for one another. We are open: sharing our infertility experience, the highs and the lows, the hilarious and the disappointing. In June 2018, Cory and I started down the vitro fertilization (IVF) path. I write about learning to embrace this challenge, learning to “embrace my unicorn,” in this blog. I also write about learning to embrace other life “unicorns” - recovering from disordered eating and exercise, body dysmorphia, anxiety, and perfectionism. I aim to share my story in a light-hearted, informative, and authentic way. Cory and I happily dated for 2.5 years. Learning each other through first dates at the Denver Botanic Gardens. Through snowed-in-Saturdays with homemade margaritas and Game of Thrones marathons. Through the nitty gritty grind of weekly grocery shopping (the best way to learn someone, really). I learned that he was a Colorado native who lived in England for the majority of his early childhood. I learned that his interests were diverse, from writing musicals to college football to performing comedic roles in regional theatre. I learned that he was an elementary school teacher turned middle school drama teacher who loved to play his ukulele. I learned that he was a really, really slow grocery shopper. He learned that I was from Greeley, Colorado (MOO!) and was completely in love with my expansive family (5 sisters, 1 brother!). He learned that I was passionate about my career in the field of brain injury rehab, about playing my flute in a community band, and about speaking Spanish. He learned that I loved to quote both Rumi and Seinfield. He learned I quickly zoomed in and out of aisles, efficiently utilizing my grocery list, no dilly-dallying. I learned that he had severe tinnitus and hearing loss that constantly distracted him and drove him absolutely crazy. (Thank God for white noise and hearing aids.) I learned that he had to leave his job and take a medical leave of absence because of his tinnitus. I learned that he was redefining himself because he could no longer be a teacher after 10 years in the classroom. He learned that I had debilitating body image issues and disordered eating behaviors. He witnessed me cry on the floor of my apartment because my pants were too tight and I felt out of control. He saw how my perfectionism and people-pleasing drove me to put the needs of others above my own, to the detriment of my mental health. We learned it all. We accepted it all. And we said yes. In September 2017, we got married in Breckenridge, Colorado surrounded by 30 of our closest peeps. In May 2018, we stepped aboard the infertility roller coaster. In July 2018, we decided to share our story on this blog. Thank you for learning about us. We hope we get to learn more about you too!